It’s a pretty fair bet that if you own a cabin, you love and want to be closer to the outside world. 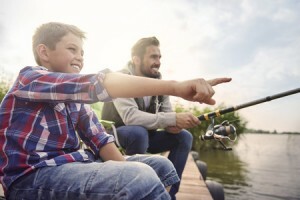 Unfortunately, not everyone knows how to use the outside world to its full potential – maybe you’ve built your cabin already, but you’re using only the inside for relaxation and entertaining? If so, you’re only getting half the experience. These tips will show you how you can make your cabin a great space on the outside as well as the inside. 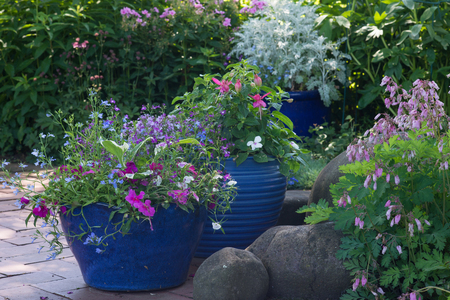 Use pots and planters that fit in with the overall aesthetic of your outdoor area. Don’t get too many, though, no matter how beautiful you think they are – that’ll just lead to more clutter. And don’t forget about the other clutter that can build up in a garden – discarded tools, pet equipment, children’s toys even. Make sure you do a tidy up as frequently as possible! 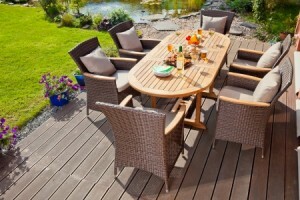 If you want to place yourself firmly but comfortably outdoors, a deck is what you need. You can use it for sunbathing, for eating, for lying back and watching the stars – anything. They’re very versatile! 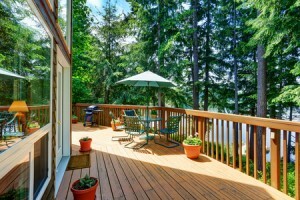 When it comes to adding a deck to a cabin, most people go with composite decking, which is made from equal parts synthetic materials and recycled wood. It looks great, but most importantly it’s extremely low maintenance. It’s slip-resistant, insect-resistant, long-lasting and doesn’t require re-staining – not surprisingly, it’s a popular choice amongst people who share their cabins with their families and children. This probably goes without saying, but make sure you have all the appropriate permissions before starting to build a deck. Different states and different countries will have separate laws about deck planning and safety, so do as much research as possible before deciding to build one. Yes, green and brown are good colors. 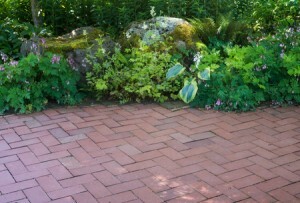 But there should be some variety in there, too, to make your outdoor space exciting. 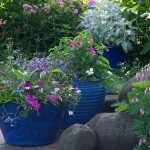 Consider planting colorful flowers in some of your plant pots, or buying some practical yet brightly-colored tables. Don’t go too overboard with it, but just bear in mind that your cabin area needs to be homely as well as outdoorsy. If you’re going to be hosting outdoor parties at your cabin, that’s all the more reason to ensure the space is as warm and welcoming as you can make it. Why not try putting some candles (placed in safe spaces) around the outside of your cabin? If done right, a patio can make a great focal point in the area around your cabin. Done wrong, however, it can look very boring indeed. Choose a form of brickwork and a pattern that’s pleasing to the eye. Why not have your patio go in a circle, for example, with something in the middle? Or how about putting a seating area there? Just remember, no matter what you go for, the patio is an addition to your cabin – it’s not the main event. It should be subtly done. 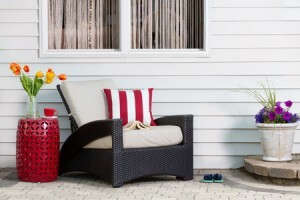 Adding extras to your cabin’s outdoor area? Make sure you get the appropriate ones for where you live. For example, if you live somewhere that’s hot all the year round, getting an outdoor fire pit or heater is probably a bit of a waste of money. If you live in a cold and wet country, purchasing an expensive outdoor kitchen is a bit pointless. And if you live by yourself in the middle of nowhere (lucky you!) you’re not likely to need fences or hedges for privacy when you already have it. Be careful when choosing your outdoor furniture, as well. Before buying it, make sure that it’s actually suited to the kinds of weather it’ll be outside in. The last thing you want is a load of wet, soggy cushions dragging the look of your entire outdoor space down. Take care of your cabin and it’ll take care of you – just remember to follow the above advice!